On the other hand, though creativity is required in animation to draw various images, characters, backgrounds, to add colors, etc., the real job of an animator lies in bringing life to the images. One needs to manage the movements of the already captured character images and camera angles. Professionally challenging: Web/graphic designing involves helping a business to establish its online presence. Apart from the visual appearance of the website, a web designer needs to focus on other aspects like usability, navigation, user friendliness, search engine friendliness, which are vital in bringing in more traffic to the site. The site should always be on the top of the search engine results overtaking the competitors’ sites. A healthy competition by its virtue in this field makes it interesting as well as professionally challenging, giving a sense of responsibility.With regard to animation, around 500 animators will work for a typical animation film. Each animator needs to work on few scenes from a film and sometimes they work without knowing the complete story. Of course, they give their best efforts to make it better, but rather than competing with others they just repeat the same task again and again to reach perfection. Web/graphic designers are critical for businesses having websites: Websites are customer facing. That means every prospective customer of the business deals with it as if it is the actual business. Aspects like the design, lay out, visual appearance, navigation, play a vital role in leaving the user with a good experience. Thus, the role of a web/graphic designer becomes critical for the organization. Rewarding: In most cases, only one web designer works single handedly to finish a project. He has to take care of every aspect of the website. So, a web designer’s role is critical in an organization. Moreover, as proper design and maintenance of the website shows a positive impact on the business, better performance is always appreciated and rewarded. Therefore, the entire credit goes to a single person.Whereas in animation as the job is spread across a number of people, even though the final result is great, there is less chance to get individual appreciation and rewards. All the awards and rewards go to the company and not the animators. Job security: As discussed earlier, online presence is becoming very important these days. Right from designing the website, updating it, and for maintaining it properly, the need of a professional web designer is often required by the company in long run. Hence the level of job security is high in the field of web designing.As animators are hired on project basis, permanent roles are very few. Once the project is finished, companies do not require the animator unless there is another project in hand. Moreover, during weak economy, the maintenance projects are scrapped. Continuous job security is, thus, lower in the field of animation compared to web/graphic designing. 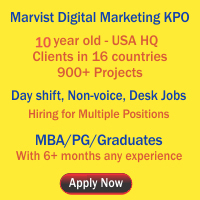 This entry was posted on Jul 2012 at 5:18 PM	and is filed under Marketing Jobs in Hyderabad > MBA Marketing Jobs > SEO Jobs. You can follow any responses to this entry through the RSS 2.0 feed. Your Feedback Matters!